How much Instagram Insights data can we see in Rival IQ? 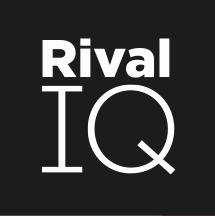 This article goes over the data history limits in the Instagram Insights section of Rival IQ. We keep your Instagram Insights data fresh according to the limits of your plan, and when you visit this section of the app we make sure you have the most recent profile, posts, and stories data. Instagram provides stories data only when the story is alive (it disappears after 24 hours even though the photo/video exists in your archive or highlight). This means that we cannot report on historical stories data in Rival IQ, and cannot access your latest stories if your token becomes invalid. At a Glance: The followers, posts, and profile views counts are the most recent counts we get from the API. The Days with Story count is the number of days in Rival IQ where you have a story. Profile Analytics: We have up to 2 years of profile history from the day you connected Instagram Insights to Rival IQ. If you recently became an Instagram Business Account, we have data up to that day you became one. Followers: We have follower count history for as long as your company has been tracked by Rival IQ, and we have up to 2 years of follower adds history depending on when you became an Instagram Business Account. Follower Age/Gender & Locations: We don't have historic demographic and location data but will pull daily snapshots. If your connected token becomes invalid, we will not have data for those days. Follower Online Times: We don't have historic follower online time data, so a graph will only be displayed for the day you connected to Rival IQ and onward. Instagram only tracks insights for posts posted after you became an Instagram Business Account, so we only display those posts in this section. If you want to see the engagement analytics for posts prior to becoming an Instagram Business Account, you can see them in the social posts section. Note that we associate engagement and publish time analytics to the day/time the post was published, not the day the engagement was made.